Thrive: To grow or develop successfully: to flourish or succeed. If you ask most educators, they would say their goal is for their students to thrive. Teachers work hard throughout the year to make sure that each student grows and flourishes. But what about the teacher’s chance to thrive? Thrive Public Schools, a free public K-12 charter organization serving students from all over San Diego, is a place where not only students–but also teachers — are doing just that; thriving. We visited Thrive at the end of teacher’s first week of back to school, expecting them to be in a room with a projector and the administrators telling them about what to expect in the year ahead, giving them their schedules and relaying other administrivia. We walked into the open courtyard at Thrive and were welcomed with an excited group of teachers, all taking part in a Morning Meeting. Teachers, both veterans at and those new to Thrive, were leading the meeting. There wasn’t a face without a smile. Teachers then were headed into project-based professional learning sessions. The school incorporates project-based learning (PBL) for students and also ensures teachers get to experience what it is like to partake in projects. At Thrive there is also a focus on blended, personalized and social emotional learning (watch to learn more). Dr. Nicole Assisi, founder of Thrive, strongly feels that there isn’t a one size fits all learning model. She does believe that we need to put more emphasis on making sure that every student is “known, seen and valued,” which sometimes may mean working directly on literacy skills that they need. She expressed that her belief is that our instructional models and pedagogy need to be just as complex as our learners and that we need to adapt with students. We joined teachers in their sessions where they were going through tuning protocols, where they were sharing and receiving feedback on projects they had designed. Throughout the sessions, they were also closely following a set of team norms (pictured above). They had the chance to receive feedback from peers and further develop their project ideas. These sessions were led by, and were very clearly intended for, the teachers own growth and benefit. It was clear that the educators at Thrive are rethinking what back to school should look like, moving away from sit-and-get style PD. In the podcast, Nicole shares more about her beliefs on re-thinking teaching and learning. You will also hear from Jaclyn (pictured right), a teacher at Thrive who describes what it is like to be a teacher in this type of environment. You will also hear about how students learn at Thrive and what back to school means for them. 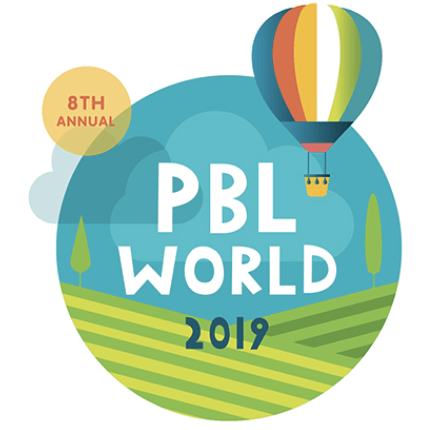 For more on a campaign to promote equitable access to project-based learning for all students, check out our year-long thought leadership campaign, It’s a Project-Based World and also at #ProjectBased. Previous articleCan Vision Planning Ward Off the Politics of Education?